Way back in November of 2015 I wrote about one of my favorite apps — Two Grand. 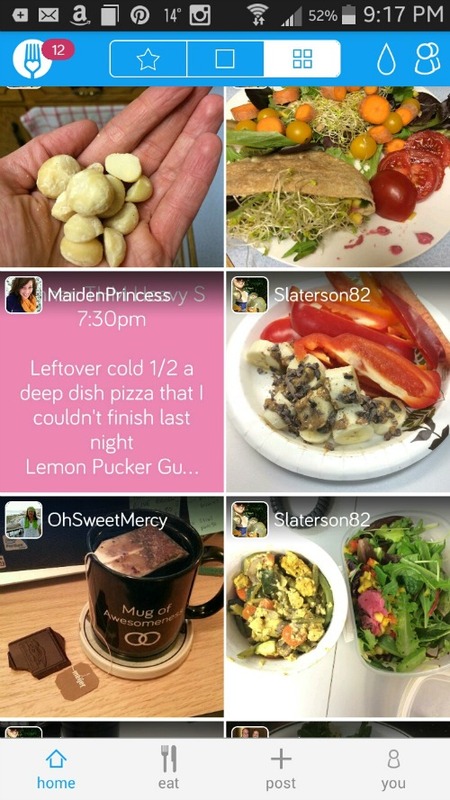 Easily see what you’ve eaten (or not) in a day. 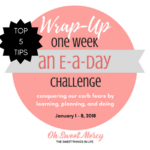 This helped me spot trends that may be working against my health goals. 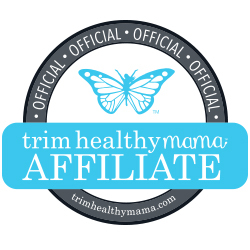 When I first started Trim Healthy Mama, I had heard about YouFood (then called TwoGrand) and signed up. After using the app for a while, I noticed that I was eating way more food than I needed. I also noticed I wasn’t eating enough color…like dark leafy green things. I started making sure to eat more rainbow, which has made both my mealtimes and photos much more enjoyable! You can track how much water you’re drinking (or not). I like water. I really do. But I often forget to drink enough water each day. 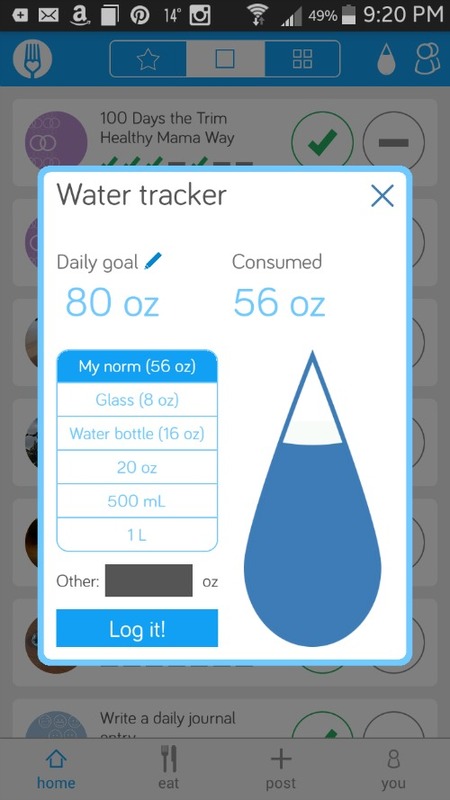 There are apps for tracking your water intake but why install another app when YouFood has a convenient tracker built right in to it? If you’re like me you already have too many apps installed to manage, right? You can set a goal for how much water you want to drink each day and even set reminders (and for anything you need reminded of, not just drinking your H20). It’s not about calories, unless that’s what you want. Or fat, or carbs or anything else. 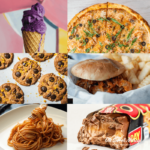 If you want to track calories (or fat, carbs, etc.) you can post them as a daily entry. It’s not like MyFitnessPal, so if you’re looking for something to calculate stuff for you, you’ll need a separate app for that. Since Trim Healthy Mama is all about food freedom, I’m not a calorie counter. The little bit of calculating I do (fats and carbs) doesn’t require a separate app. I love that the focus is more on making healthy choices and not being a slave to numbers…whether by recipe or scale. 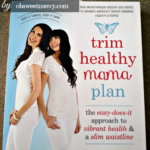 YouFood is wildly popular with Trim Healthy Mamas all over the world. I often see on-plan meals and snacks in my Daily Awesomeness and Email of Awesomeness. Right now, I’m doing the #100daysthethmway Challenge and the accountability and encouragement I find with my THM sisters in YouFood keeps me going. When you’re feeling discouraged, you can post that too. You can keep any of your posts private, which is nice if you want that feature. But I have found so much encouragement from people all over the world, people who are struggling with a raging sweet tooth or having a really, really bad day like me. 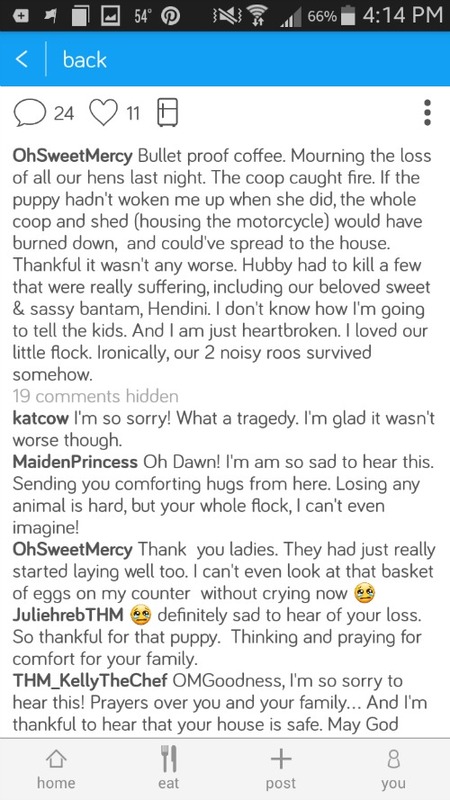 Like the day of the Great Chicken Tragedy. They share what has worked for them to get through it. Or offer to pray for you. And sometimes it’s just an I’ve Been There, but it’s always nice to know you’re not alone in your struggles. I’ve also offered encouragement, advice and prayers to others and it’s a blessing for me to be able to help and encourage someone who is feeling down. The encouraging, positive community of YouFood is truly extraordinary. You just don’t always find that online these days. What’s new in YouFood that wasn’t in TwoGrand? 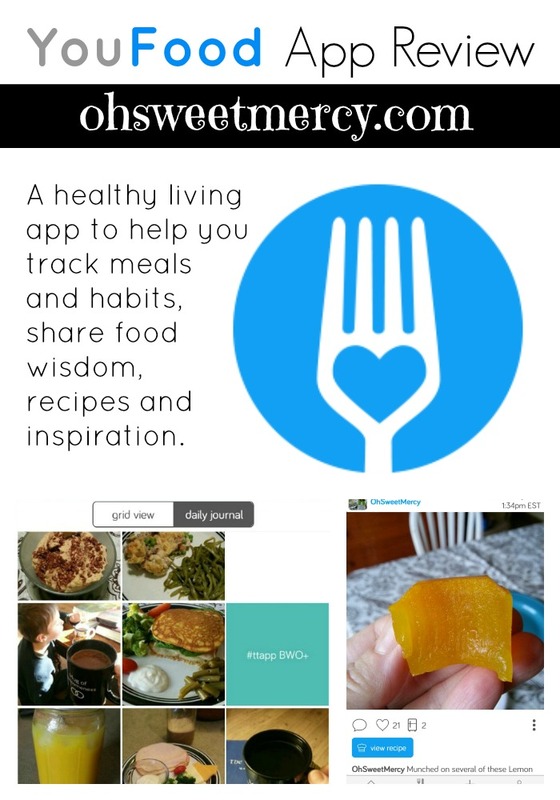 Four new post categories: Tip/Discussion, Product/Groceries, Dessert and Inspiration! Easily add recipes like my yummy yummy Healthy Lemon Turmeric Gummies to share with others. When you see something delicious or inspiring (and you will) save it to your “Fridge.” You can organize it any way you like and name the boards yourself. 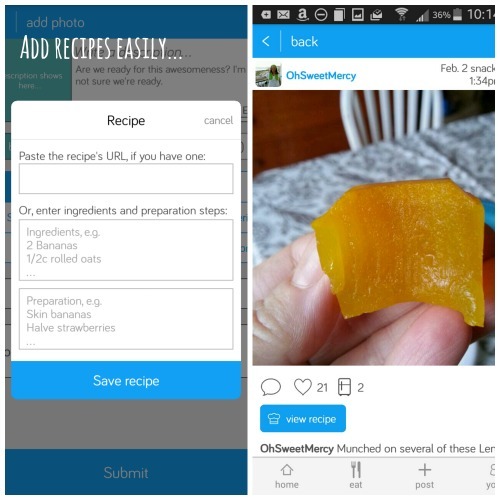 You can also see how many people have saved a recipe. The look of the app got a bit of a makeover, too. 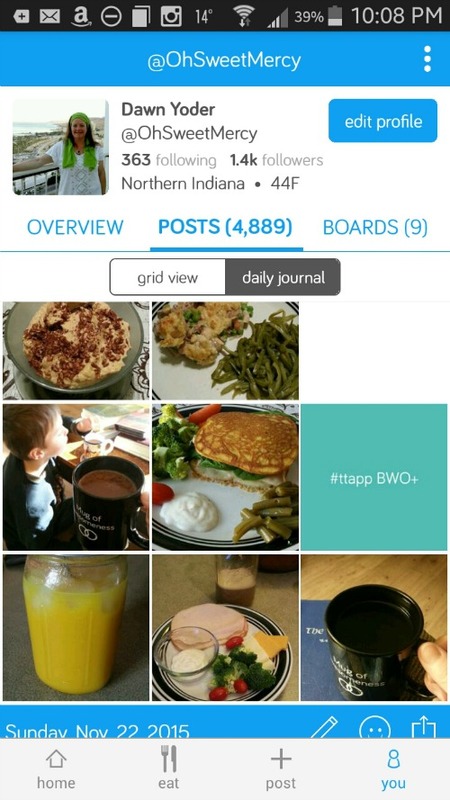 I love the option to see your feed in single post or grid format! Plus you get a daily dose of awesomeness, right there in the app – not just the weekly Email of Awesomeness. Just tap the star at the top of the screen and you’ll get several awesome posts from other users to inspire you. I’m still trying to get used to the new look though…I’ll admit that I miss the colors that were in TwoGrand. I love blue, it’s my favorite color…but I loved the colorfulness of TwoGrand. Change happens and we’ve got to just deal with it I guess. Maybe they’ll provide an option to have a TwoGrand color scheme some day. They are always working to improve the app and I hear they’ve got some exciting new features in the works. Even though the name, and look, has changed, it is still hand held awesomeness! This continues to be the only app I use every day and love. I use Facebook every day, but it really aggravates me. Just part of being a blogger…gotta use Facebook. Facebook increases my stress level, which is unhealthy. Unlike YouFood, which helps me improve my health. 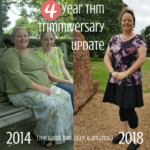 If I could only choose three things to use in my journey to good health, I would choose real, whole foods, a plan to eat them properly (Trim Healthy Mama) and a tool to track progress and inspire me to keep at it – YouFood. YouFood is completely free, and the developer support is top-notch. You might expect an app like this to cost something to download. It only costs a few seconds of your time and a bit of space on your phone. I love that this app is free. Another aspect that distinguishes this app from many others is the developer support. Peter and Alex, the founders, work tirelessly to make this app awesome. Any time I’ve had trouble with it (which has been very few times), they quickly respond and resolve it. They are also so very encouraging and positive, and I think that really comes through in the app overall. They truly go above and beyond to help their YouFoodies. I love their kind hearts! Thank you, Peter and Alex, for all you do for the users of YouFood. Your dedication to the community and to making YouFood the best healthy living app around is making a difference in the lives of many! 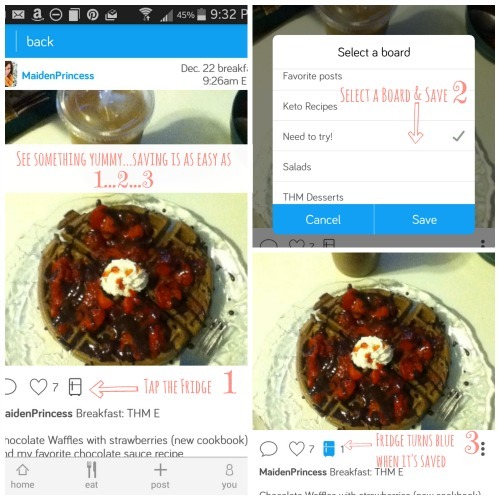 Pin This YouFood App Review to Your Favorite Pinterest Boards! It sounds like an awesome app. I love the water part of the app. I am terrible about drinking water. Me too! I love water so why is it so hard to drink it? Wow! That sounds like a great tool. Glad you posted or I never would have known about it! What a cool app! Never heard of it before – gonna check this out! Cool! Sounds like a great app!